← New York Premiere Today! I was born in Latvia, educated in Moscow, live in New York. I have made about 14 animated shorts so far. 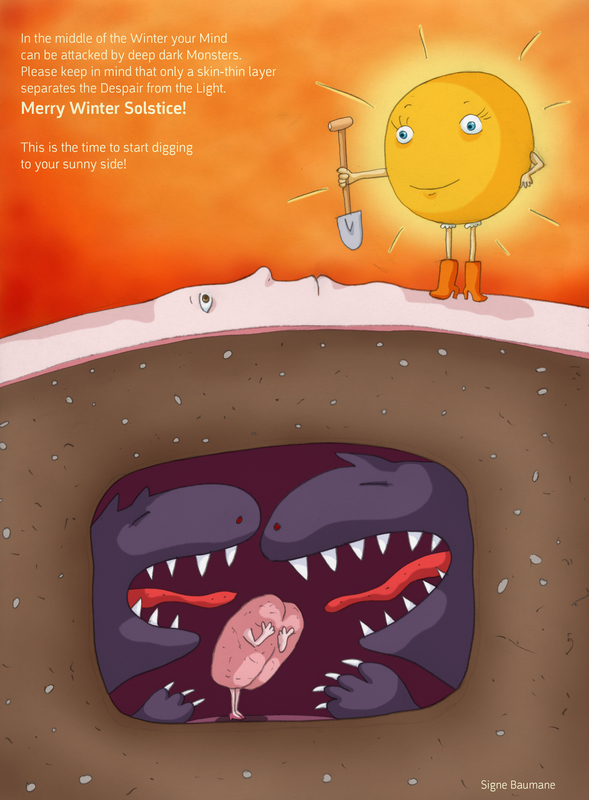 Image | This entry was posted in Greeting Cards and tagged solstice, Winter Solstice. Bookmark the permalink. 1 Response to Merry Winter Solstice! What a smart illustration of how we all feel, but are too afraid to admit.